The library has always been the cornerstone of the community. At Tipton County Public Library, we’re proud to be a member of the Tipton community and area, but without your support we can’t provide the services and resources to our community. Your library needs your help and support to continue providing the resources needed for lifelong learning and the promotion of reading enjoyment for residents. What’s your library worth to you? The national average cost to use the library is about $31 per person per year. This worksheet has been adapted from the Massachusetts Library Association and Chelmsford Library. How these values were calculated. 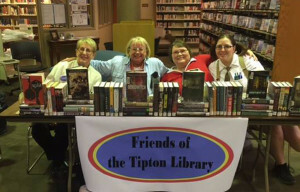 The Friends of the Tipton Library is a volunteer organization that holds fundraisers throughout the year, including their used book sales. 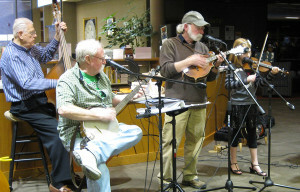 The Friends help with various library programs such as the Summer Reading Club, concerts, and other programming expenses. The Friends also commit time for organizing a Community Mitten Tree and Children’s Art Show. Membership is open to all who wish to support the library’s role in our community. Want to volunteer at your public library? The volunteer program at Tipton County Public Library is designed to provide support to the services at the library and to the staff. Volunteers are intended to enrich the library’s mission and programs by supporting the staff in projects and assignments. We select volunteers based on their qualifications and the needs of the library. 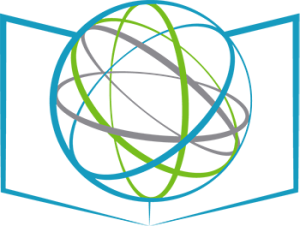 The volunteer program is the perfect way to give back to your community and your library.